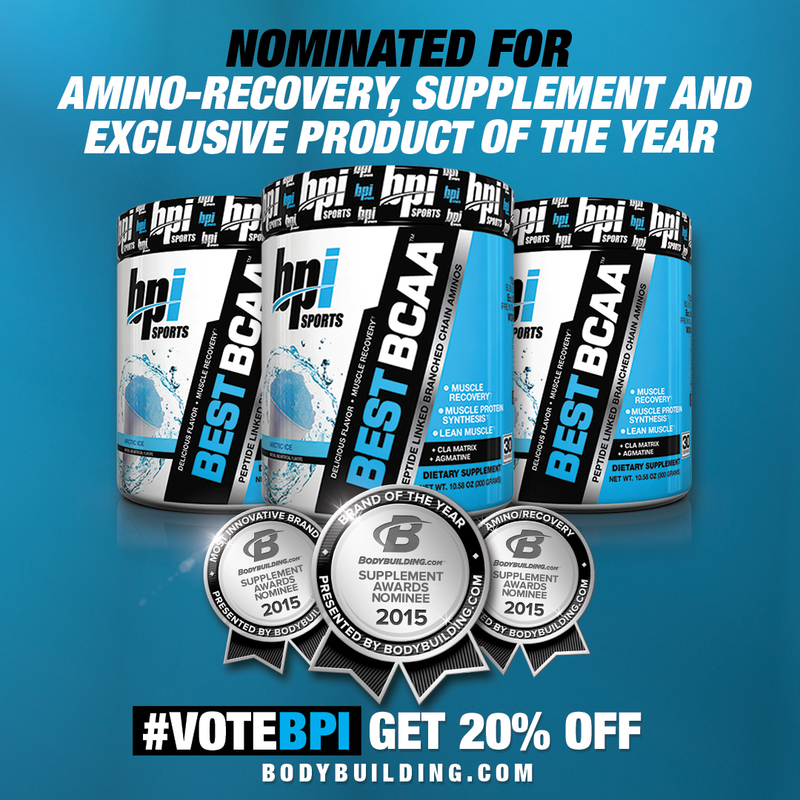 BPI Sports, nominated for 11 different 2015 Bodybuilding.com Supplement Awards! “We are very proud to have been nominated for so many awards. After a hard, well spent initiative that entailed rolling out a new look, being the first and only brand to 3rd party verify Proteins at the manufacturing level, we couldn’t be happier with the direction our brands are going in. Both BPI Sports and Cutler Nutrition have experienced tremendous growth this year and are leaders in the sports nutritional sector. This is truly the result of our incredible partnership with the #1 online supplement store in the nation, Bodybuilding.com, and the unbelievable support from our BPI Nation family. 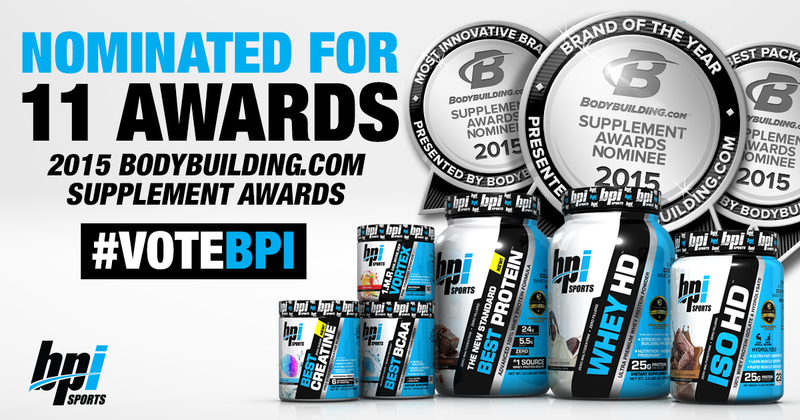 We couldn’t have done it without you!” says James Grage, Co-Founder and Executive Vice President of BPI Sports. Winners will be determined via an online voting system that will live on Bodybuilding.com August 3, 2015 – August 9, 2015. Results will be announced on August 31, 2015.